In the state of Montana, everyone is required to wear a seat belt. It’s just common sense. You are also required in Montana to protect children who are travelling in your vehicle. There are laws in place that you have to obey, and that work to ensure the safety of children in motor vehicles. It makes sense to obey them. Montana, unlike many other states, does not go into great detail regarding the requirements for child safety seats. They are stated simply and concisely, and they can be summarized as follows. Any child who is under the age of 6 and weighs under 60 pounds must ride in an age-appropriate safety restraint. Any child who weighs more than 40 pounds, but is under 57 inches in height, will have to ride in a booster seat. 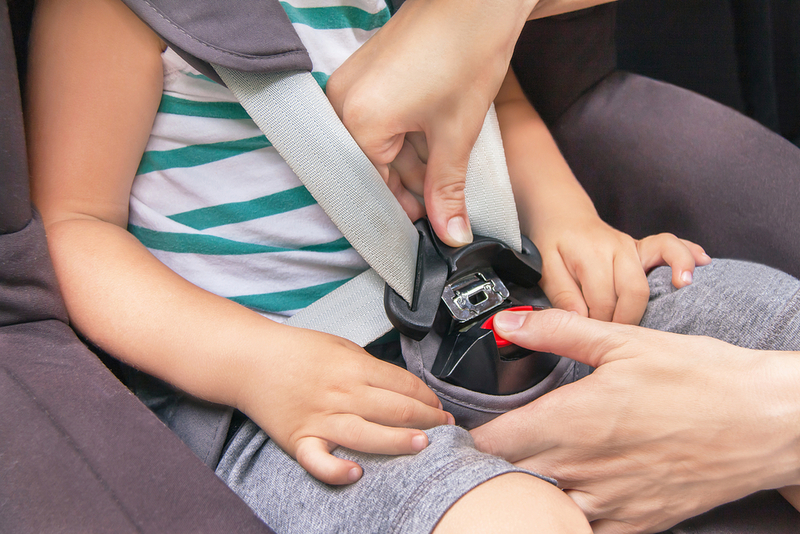 Any child over 40 pounds, and taller than 57 inches, may use an adult seat belt system, keeping in mind, of course, that anyone who can use an adult lap and shoulder restraint system is required by law to do so. Although the law in Montana only mandates child seats for children age 6 and under 60 pounds, research suggests that if you keep your kids in a booster seat until they are 4’ 9” tall keeps them safer. This is a recommendation only and is not required under the laws of the state of Montana. If you violate the child seat safety laws in the State of Montana, then you could be fined $100. Of course it simply makes sense to obey the laws and protect your children, so follow the law and keep your children safe in motor vehicles. Q: How do you install a child seat with a tether? Q: How do I install a booster seat in the passenger front seat?